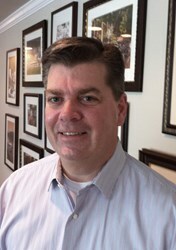 Bill Kelner has been hired as VP of Domestic Operations at Summer Classics, Inc. Bill will be responsible for all Summer Classics domestic manufacturing, vendor sourcing, quality control, human resources and distribution. “Bill is great at multi-unit team management, and is bringing some 6 sigma strategies to integrate into our operations.” said Bew White, III, CEO of Summer Classics. Bill has vast experience in operations and HR. Prior to working at Summer Classics, Bill owned and operated 2 service businesses in Alabama and Tennessee. His career has a long history of impressive growth, beginning in operations at RTM (d.b.a. Arby’s/Mrs. Winners), and then in operations at Tacala LLC, (d.b.a. Taco Bell), the largest domestic franchisee. He was promoted from operations to National Director of Training, and again to Chief People Officer, responsible for all management development, training and resource activities. His success ultimately led him back to operations as Regional Manager, where he had a history of “turnaround” situations and impressive operations and human resource improvements.